Thanks for stopping by Michigan HVAC Pros! When you’re looking for a reputable HVAC contractor in Michigan, you’re looking for more than just a name. You want dependability, quality, reliability and trust. You don’t want to invite just any company into your home or business. You want to find a company treats you like one of their own, like family. You want the best quality and performance at the most affordable prices. Michigan HVAC Pros provides you with the knowledge, information, and expertise you need to find just the right contractor. When you’re searching for a commercial or residential HVAC company in Michigan, don’t accept anything but the very best for yourself, family, friends and employees. Whether the season is winter or summer, spring or fall, you need your heating and cooling system working at its best to ensure everyone is comfortable, safe and happy. It creates an environment that is pleasant to work or enjoy leisure time in. Do your research. 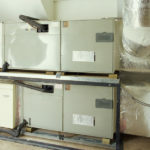 Which company offers free residential or commercial HVAC inspections? Our experts will tell you how efficient your current operating system is, and how you can save the most money. Yes, we want to save you money, and we’ve come up with a number of ways for you to do just that. Your energy bills will be lower, and the air that surrounds you will be the perfect temperature. Imagine that – lower bills and just the right atmosphere in your house or business. Whatever you do, don’t panic, we are here for you. When you’re air conditioner or heater goes out you might be wondering what to do. Our professionals are ready and available all year long to answer all of your heating and cooling questions. 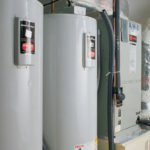 It can be overwhelming looking for a reliable HVAC contractor in Michigan, because there are so many to choose from. Our highly skilled HVAC professionals will help you find a company in your area that provides residential or commercial energy reports, showing you where your energy and dollars are going, and what strategies can help you save money. We will also give you tips on how to do regular preventative maintenance, to help you maintain your current system properly. Regularly scheduled maintenance is important to keep things running smoothly and safely in your home or business. We’ll let you know what to look for when you’re deciding if your HVAC system is in need of repair or not. Watch for our informative blogs, tips and advice on our website. We can help with any questions you have. Ever wonder about a certain smell coming from your vent during the winter, or a pilot light that won’t stay lit? We can help shed light on all of these common problems and more. We are the HVAC experts you need in Southeast Michigan. You can trust us. Family is our top priority. We look forward to you joining our family. It’s about being happy and comfortable and saving money. We can help you achieve your energy goals.